My Adventurous Education: Just Say YES! Just because you have a plan in where your life is heading means you should stick to it. Does it? After all you might not even have a plan. I’m not encouraging you to leave your long term partner or quit your job but I do think that you should say “yes” more often. Especially to things that are easy to say no to. Here’s an example. You’re on a ferry with a friend you have just met 2 weeks previously and you are both doing the same job for 3 months. While on the way to an island in Hong Kong to go surfing, you get chatting and realise you share lots common. They then proceed to tell you an idea they had, an adventure in mind. 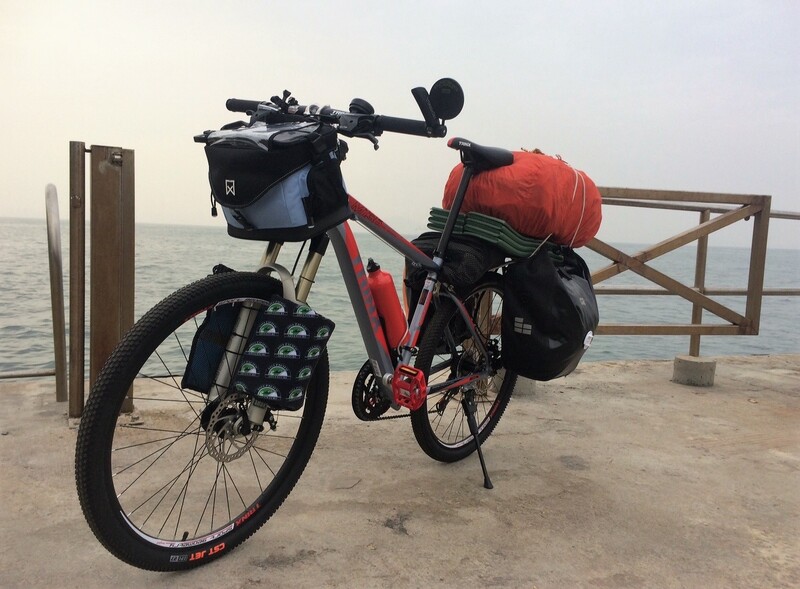 They want to cycle from china back to the UK they think they know a vague route. It would be great to do it with someone but if not, would most likely do it on the own. Plans on hold, money invested and a tunnel like vison on my goal home on a bike! What was I thinking I could have said no “good luck with that”. Here I am in January in Hong Kong with 5 days till we leave for china. I’m so excited!! I have a bike, a tent and a sleeping bag that goes to -50celcius amongst other things. She's ready to go but doesn't have a name yet!! Good luck arron! Call her betty. Brilliant - what an amazing opportunity!!! Good luck.